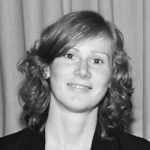 Lucy is a research associate in urban mobility working on the PEAK project. This is an interdisciplinary endeavour involving a team of postdoctoral researchers working across China, India, Colombia, South Africa and the UK with the aim to explore urban futures and to develop new ways of researching co-produced urban systems. Lucy completed her PhD in human geography at Cardiff University, Wales funded by ESRC Wales in 2018. It explored issues of rural/urban mobilities, urban governance, global and local design of mobility systems, commodity networks, poverty, wellbeing, gender, and development. Lucy has examined how transport solutions of the Global South are co-produced by social-material networks of international and local NGOs, donors, structures of governance and local users. Lucy is researching big data, digital technologies and concepts of the 'smart city', and their applicability to mobility governance in development contexts in South Africa and India. Technological innovations advertise increased flow and efficiency in the function of urban mobility and Lucy's research will critically question how increasingly digitally mediated mobilities are compatible with the often fractured and unequal infrastructure of developing cities, how 'smart' mobilities are designed and governed, and how they are changing the current practices and politics of formal/informal mobilities. Key themes are socio-technical urban mobility networks, human-technological relationships, concepts of human and non-human agency, material geographies and the mobility of technical design. Although with experience in quantitative travel behaviour analysis, Lucy is currently using ethnographic and other qualitative methodologies in order to understand the complexity of urban human-digital systems with an interest to further develop ethnographic and visual methods in the field of urban and geographical research. Lucy has previously taught and mentored undergraduates and postgraduates through lectures, technical workshops and feedback sessions. She has covered modules in qualitative and quantitative research methods in human geography, concepts of modernity and mobility, transport and the city, and transportation analysis methods. She has participated in teaching on field study visits at Cardiff University to Tanzania and Amsterdam and has co-led a day workshop 'Drawing and Research' at Cardiff University's Doctoral Academy. Lucy's work is relevant for stakeholders involved in the development, governance and practice of urban and rural mobility systems. She has engaged with multinational NGOs, policy makers and local actors involved in grassroots lobbying for transport infrastructure and cyclist's right to the city in Namibia. Baker, L. (forthcoming) Scripting the Mobile Development Subject: A Case Study of Shipping Second-hand Bicycles to Africa..